Many people have already their daily routine and habit of drinking coffee in the morning, usually on an empty stomach, before going to the office, school, or in a business meeting, coffee is the starter of the day. But did you know that drinking coffee on an empty stomach is not a good idea and a very bad habit? Why? Let's take a look why Drinking Coffee is a terrible idea. Your stomach has a hydrochloric acid, which, at the right level, helps your body digest food properly. So when your stomach is empty, acid cans slosh around and may hurt your stomach really bad, it can also add more acid in your stomach since the only thing inside that is digesting by your body is coffee that is full of acid that may cause different bad effects from your stomach that can lead to a serious problem like heartburn, irritable bowel syndrome, and a possible problem to affect you is the stomach ulcer. Drinking coffee on an empty stomach will give you too much caffeine that may destroy your stomach digestion, leading to a bloated feeling and other signs of irritable bowel syndrome, like pain and irregularity. Why?, Because caffeine represents as your adrenal glands, which a source of stress hormones that we called cortisol and adrenaline. When these hormones fill up your body, there will be a big chance that they will increase your heart rate and blood pressure and your liver starts letting out blood sugar to give energy to muscles so that you can run away. Your digestive system will also go down to send energy to where it is needed the most. 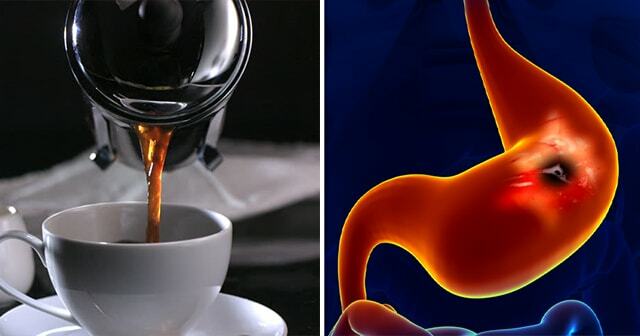 Frequent drinking of coffee on an empty stomach will make you feel less hungry. So if drinking coffee will be your first thing that you will go to do when you wake up, most probably that you will skip a proper breakfast because you will feel full that will end to a big problem of yours, because skipping one of the most important meals of the day can destroy your body's power to generate serotonin, a neurotransmitter in charge of making you feel happy and calm. The daily routine of drinking coffee in an empty stomach will increase the amount of fluid that your body passes, and may cause you dehydration that will affect your body throughout the day, you will feel less energized. When you go through your daily routine, and you make drinking coffee on an empty stomach a hobby on a regular basis, you might lower your brain's power that will break down serotonin in your brain which is the happy, calm hormone of your brain, so when your brain doesn't have the capability to produce this hormone properly it will cause you anxiety and depression. So a piece of advice for those who drink coffee on an empty stomach. You must remember that it is important that you partner your coffee with a proper Breakfast meal and make sure to drink plenty of water to flush out all the caffeine and acid from your body to avoid any health problem. It is better to stay healthy than stick to those bad habits that will give you a high risk of live a miserable life with different kinds of health problems and diseases.